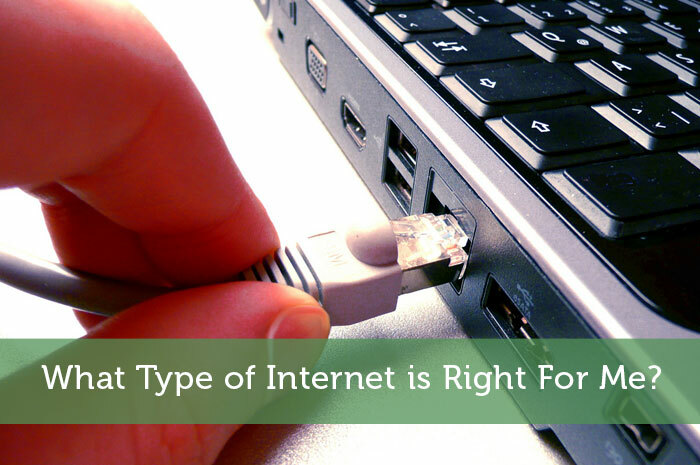 The following is a guest post about choosing your ideal type of internet from Logan Abbott. If interested in submitting a guest post, please read my guest post policy and then contact me. Part of saving money means sacrificing certain things. Eating at home, packing a lunch and and if you can stomach it, cutting out the precious cable TV. Most people spend hundreds of dollars on cable TV when it can easily be replaced by the internet, but when you start looking into the wide world of Internet Service Providers (ISP) for the best deal, it can give you more than just a little headache. What’s a megabit? What’s a megabyte? DSL or cable, or maybe something else you’ve never heard of? Here’s a list of explanations that will make your life a little easier while reducing your monthly expenditure on hundreds of channels you never use. Now you’re finally shaking off that cable company once and for all right? Not so fast, because they also provide a lovely internet service as well. So what’s the difference between Cable and DSL anyways? Here’s the lowdown. Basically the main difference is the vehicle that delivers the data to your house. With DSL (which stands for digital subscriber line) the data travels through the same copper wire that your home telephone uses (or would use if you lived in 1999). Cable internet uses the same infrastructure that delivers those TV channels you’re trying to get rid of. Using the coaxial cable instead of the telephone wire allows for greater bandwidth which means faster internet. That’s a good question, and it really depends on what you’re using it for. Just checking Facebook and email? You probably don’t need much room to wiggle, but if we’re talking about replacing your television service with streaming video, it’s a good idea to upgrade that speed a little bit. With DSL from AT&T U-Verse, the fastest speed they provide is 24 megabits per second (Mbps), which in an ideal world should work just fine. But this depends on several other factors including how many people you live with, their internet habits and so on. With cable internet you can purchase speeds of up to 50 Mbps. While that might sound excessive, if you’re sharing it in a big house with a few other people, it might be the way to go. Plus with cable internet you aren’t just sharing your connection speeds with those in your home, you’re also sharing with those in your neighborhood, which means if everyone in your cul de sac is watching Netflix, you might be bogged down a little, while your DSL line is yours and yours alone. Another thing to remember is that with DSL, the closer you are to your local central office, the faster your connection. Beyond a certain distance, DSL service might not even be available. So really there’s no one size, fits all package for one person. My recommendation would be to start with lower speeds and see if you can live with it. If you can’t, upgrade! Even an extra $10-20 a month will still be probably $100 less than you were spending for all those channels you don’t watch. What Type of Internet is Right For Me? The past few years we’ve had low tier DSL, which works just fine if you’re mainly doing blog posts, reading news websites, etc. Lately, however, we added in Ooma VOIP home phone service and quite a bit of streaming tv and movies and our connection was bogged down. After we moved we upgraded from a 6MBPS connection to a 30MBPS DSL connection, and the difference has been amazing. If you’re not doing a ton of streaming and other things, however, you’re probably fine getting one of those low tier connections. Great insight Peter. Like you said it really depends on your intended usage. I got away with having 6MBPS for a while, but when I started gaming using Netflix heavily, bumping up to 30 was necessary. Agreed MoneyStepper, it’s all about figuring out what exactly you need, then finding the best speed for you. I go with 50 Mbps from my provider, Cox Cable. I stream most of my content, and I like to be sure I can get my HD feeds without any disruptions/re-buffering. While the service one step below, 25 Mbps, would work, the data limits are tied to your service speed. I found myself bumping up against the 250 GB limit with the 25 Mbps service; the 50 Mbps service, with its 400 GB limit, gives me some breathing room. You do have to be careful about the data limits. I’m sure most internet providers would be happy to charge some absurd over-limit fees if you go over your limit. We are using DSL and it’s been doing great for us for years now. It’s also much cheaper than getting your internet connection from a cable company, that’s what it is in our country. It must be nice to have those options. Here in Vancouver you pretty much have 2 options for internet and you can’t always get one of those options depending on where you live. So we’re stuck paying their pricing. We downgraded from 25MBps to 5MBps and barely notice a difference. You can save a ton of money if you do this and don’t have 3+ devices streaming data concurrently. It is true that you really don’t need those higher speed connections unless you are doing something like a lot of streaming. Sounds like you’ve got the right level speed for your needs. I wish I had a choice haha I can only have a small USB modem with a super slow, sometimes just slow connection. Given the choice I’d have the best connection possible and no cable. Ouch that must be frustrating when running an online business. That’s probably a small trade off compared to your other benefits of living in South America.